I got great feedback from the club, and if you are happy to I would like to rebook you for a couple of Fridays over the next few months, could you send your available dates for me? family's phone last night to say what a great time they had. I have booked the hall for next year on the 19th of December 2019, 11am to 2pm. The performance in Cordeaux Lodge was wonderful. Thank you for coming to our Christmas party and helping us make it a great day. Tuesday the 10th at Unanderra in 2019? our resident's Christmas parties again this year ? Dates for the parties are the 11th and 12th December. It went great, everyone loved you. Thanks for coming on short notice. Thank you so much, I am sorry to have missed it. love to have you come and entertain them every day. Wollondilly Support and Community Care Inc.
the residents and family enjoyed it so much, everyone had a great day. Venue said yet another great new act we have for the rotating roster. So thanks mate. Well done. impressed with the music. I hope you had a lovely birthday dinner with your family. Thank you for your message. We owe you a very large thank you for your entertainment today. All feedback has been very good with everyone thorougly enjoying the event,your music really made it a special day for them. I've never seen so many of our group so actively involved. We all wish you and your family a very Merry Christmas and a Happy New Year for 2016 too. good eight years later, but the minute you started to sing you removed all doubt. together in unison creating a kinship atmosphere through song.
" You Made the Night"
of character. And alcohol had nothing to do with it ! Lol ! Thank you for a most memorable evening I could have ever asked for. for 50 years of service to the community formal luncheon on Saturday 23rd March. You are singing better than ever. Very many people were impressed. Great performance Melbourne Cup Day, the Club was really happy with what you did. Thank you for a most enjoyable morning of music at " Macquarie Centre Golden "A" Club. We love easy to listen too and sing a long with music. on Wednesday 26 january at Council Chambers. Thank you for making it a successful and memorable event for all present. Thankyou for another fantastic year of entertaining our residents, you do a great job and it is much appreciated. with your efforts on Fathers Day, and have indicated they would love to have you back. 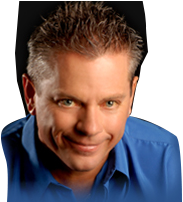 Entertainment Director Bruce Cruickshanks has added your name to his booking list. he has with them (especially the ladies) whilst performing with his pleasant easy listening voice. Ron always brings a smile to there faces.Music is a great therapy for all and the Residents sing a long with Ron to there old time favourites, Ron is able to perform any requests that the Residents ask for. 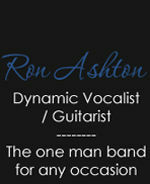 I would highly recommend Ron Ashton to other Aged Care Centres.